Brief description: TaiwanICDF’s International Higher Education Scholarship Program aims to assist partner developing countries to achieve sustainable development through education. The TaiwanICDF provides scholarships for higher education and has developed undergraduate, graduate, and Ph.D. programs in cooperation with renowned partner universities in Taiwan. Application Deadline: Application is still in progress, not date announced yet. 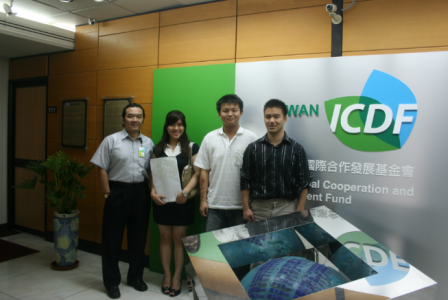 Scholarship value/inclusions: The TaiwanICDF provides each scholarship recipient with a full scholarship, including return airfare, housing, tuition and credit fees, insurance, textbook costs and a monthly allowance. Level/Field(s) of study: Undergraduate, Graduate, and Ph.D. programs related to Science and Technology, Engineering, Public Health and Medicine, Sustainable Agriculture Development, Humanities and Social Sciences, Private Sector Development. Applicants applying for a TaiwanICDF scholarship must meet both the general eligibility criteria and be a national of a country on the List of Countries Eligible for Taiwan ICDF Scholarship. Applicants must also meet the Regulations Governing Visiting, Resident, and Permanent Residency of Aliens set by ROC (Taiwan) National Immigration Agency. Applicants must satisfy the admission requirements of the partner university to which he or she has applied to study under a TaiwanICDF scholarship. All Undergraduate Programs only accept applications submitted by citizens of allied countries of ROC (Taiwan). Application instructions: Applicants must complete an online application. Please go to the online application system to fill in your application and then submit a signed, printed copy along with all other application documents to the ROC (Taiwan) Embassy/ Consulate (General)/ Representative Office/ Taiwan Technical Mission or project representative in your country. Now that all the information about Fully Funded Taiwan International Higher Education Scholarship Program has been delivered nicely; talented students who are eager to pursue their Free Tuition/Scholarships/Study In Taiwan for Undergraduate, Bachelors, Postgraduate, Masters, PhD, Associate Degree and Other Degrees, can apply now. Award Provider: Taiwan Government and NGOs.